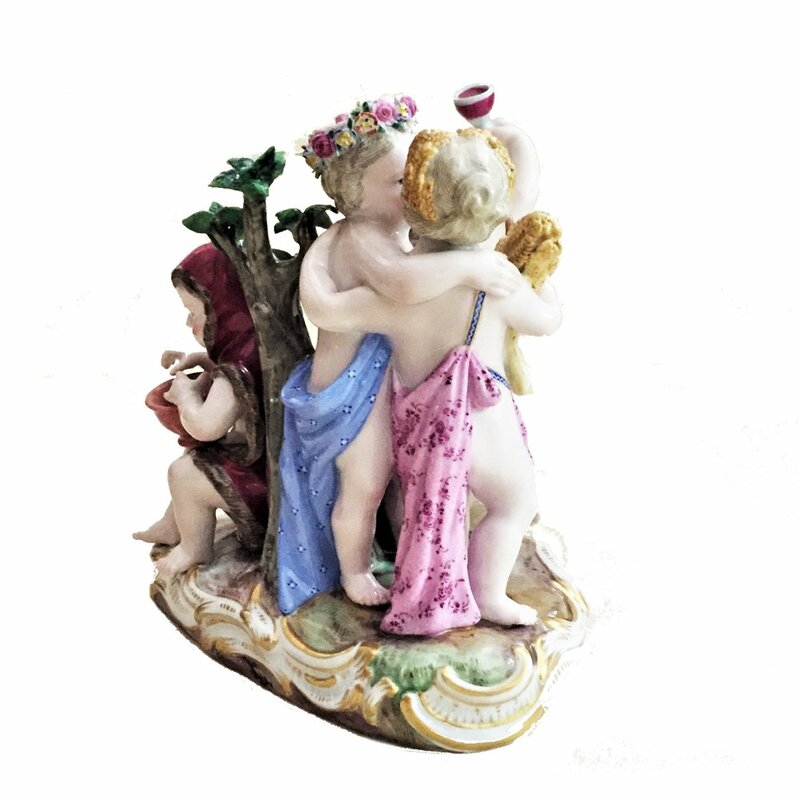 MEISSEN figurative group of four flower children in ancient Roman/Greek costumes, depicting the four seasons. Dimensions: 5.75” high x 5.75” wide x 3.75” deep. 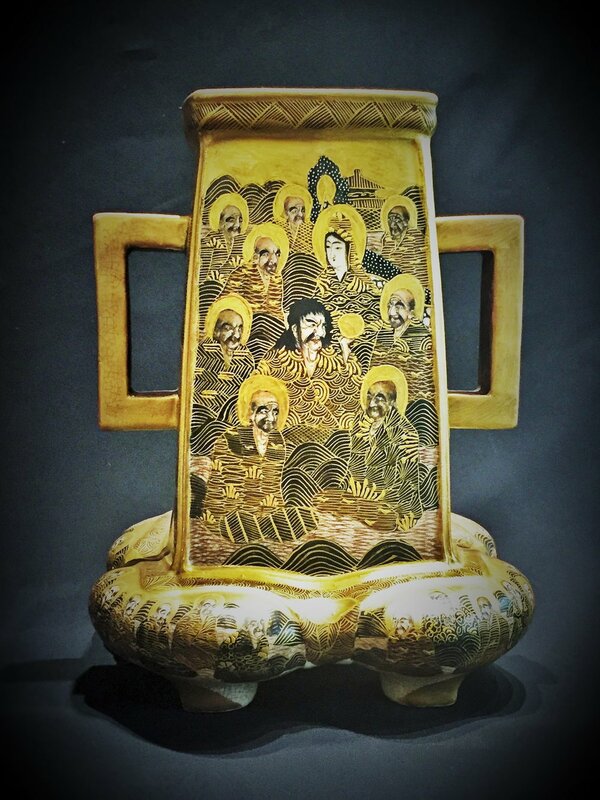 Marked with ‘swords’ on the base. 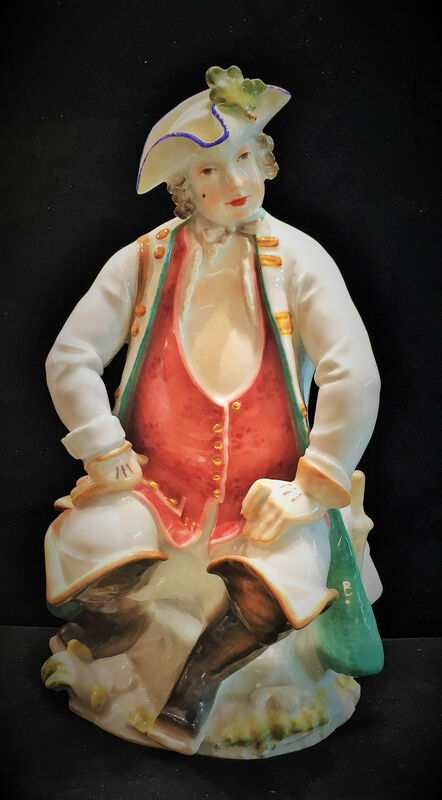 MEISSEN PORCELAIN. Staatliche Porzellan-Manufaktur Meissen is one of the preeminent porcelain factories in Europe and was the first to produce true porcelain outside of Asia. It was established in 1710 under the auspices of King Augustus II “the Strong” of Saxony-Poland (1670–1733), a keen collector of Asian ceramics, particularly Ming porcelain. In pursuing his passion, which he termed his “maladie de porcelaine,” Augustus spent vast sums, amassing some 20,000 pieces of Japanese and Chinese ceramics. These, along with examples of early Meissen, comprise the Porzellansammlung, or porcelain collection, of the Zwinger Palace, in Dresden. The king was determined; however, to free the European market from its dependence on Asian imports and to give European artisans the freedom to create their own porcelain designs. To this end, he charged the scientist Ehrenfried Walther von Tschirnhaus and aspiring alchemist Johann Friedrich Böttger with the task of using local materials to produce true, hard-paste porcelain (as opposed to the soft-paste variety European ceramists in the Netherlands, Germany, France, Italy and Spain had been producing since the late Renaissance). In 1709, the pair succeeded in doing just that, employing kaolin, or “china clay.” A year later, the Meissen factory was born. 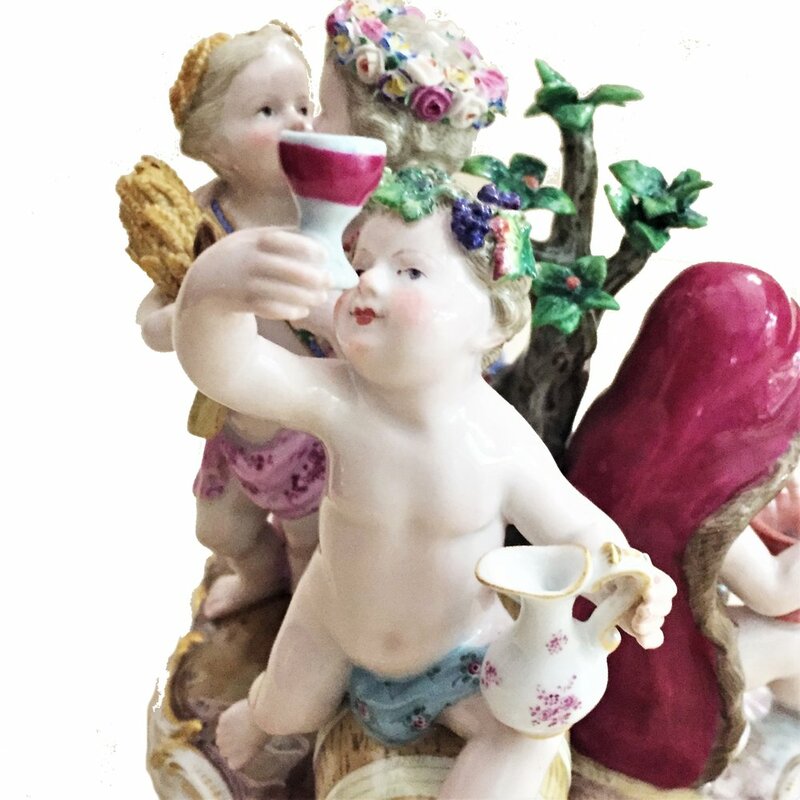 In its first decades, Meissen mostly looked to Asian models, producing wares based on Japanese Kakiemon ceramics and pieces with Chinese-inflected decorations, called chinoiseries. During the 1720s, its painters drew inspiration from the works of Watteau, and the scenes of courtly life, fruits and flowers that adorned fashionable textiles and wallpaper. It was in this period that Meissen introduced its famous cobalt-blue crossed swords logo—derived from the arms of the Elector of Saxony as Arch-Marshal of the Holy Roman Empire—to distinguish its products from those of competing factories that were beginning to spring up around Europe. 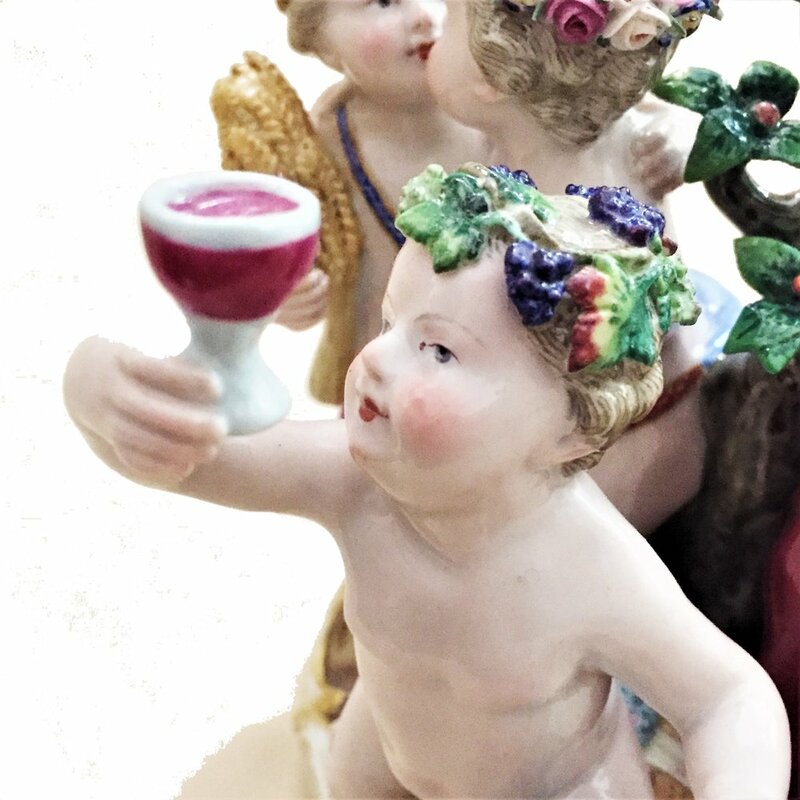 Owned by the State of Saxony since reunification, in 1990, Meissen continues to produce its classic designs together with new ones developed collaboratively with artists from all over the world. 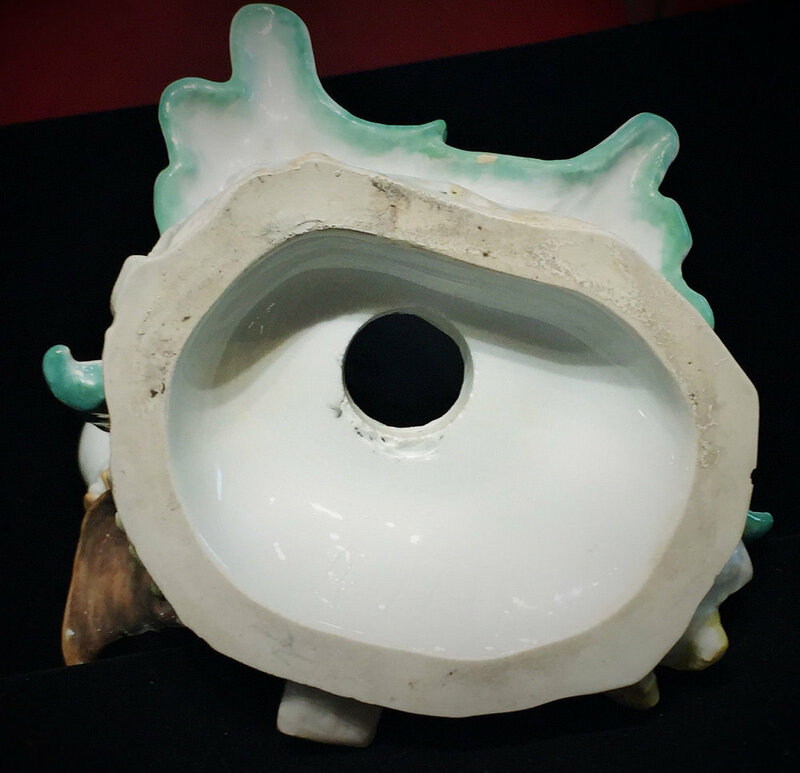 In addition, through its art CAMPUS program, the factory has invited distinguished ceramic artists, such as Chris Antemann and Arlene Shechet, to work in its studios in collaboration with its skilled modelers and painters. 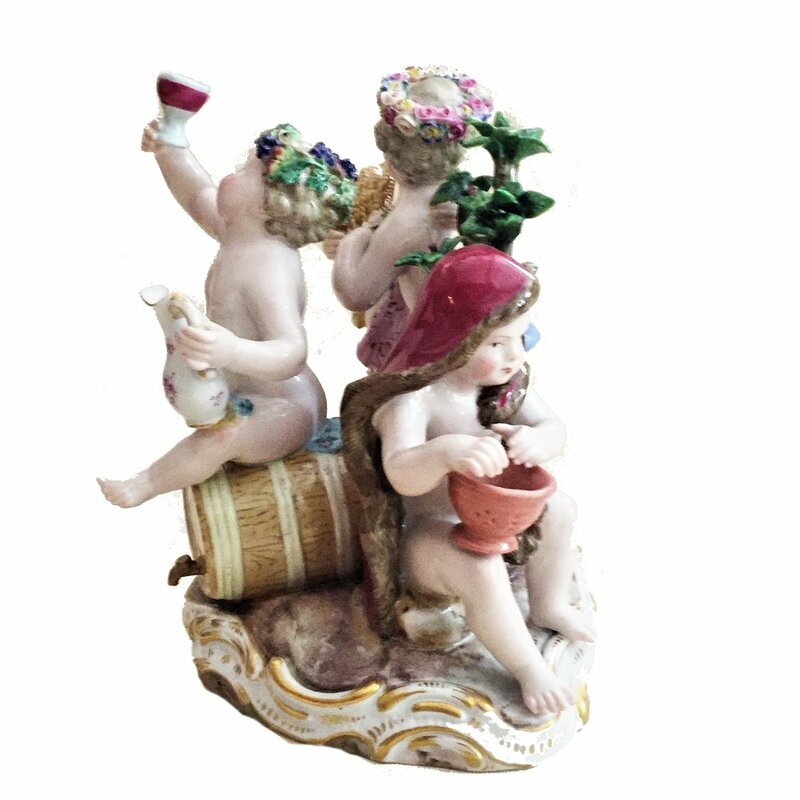 The resulting works of contemporary sculpture are inspired by Meissen’s rich and complex legacy. 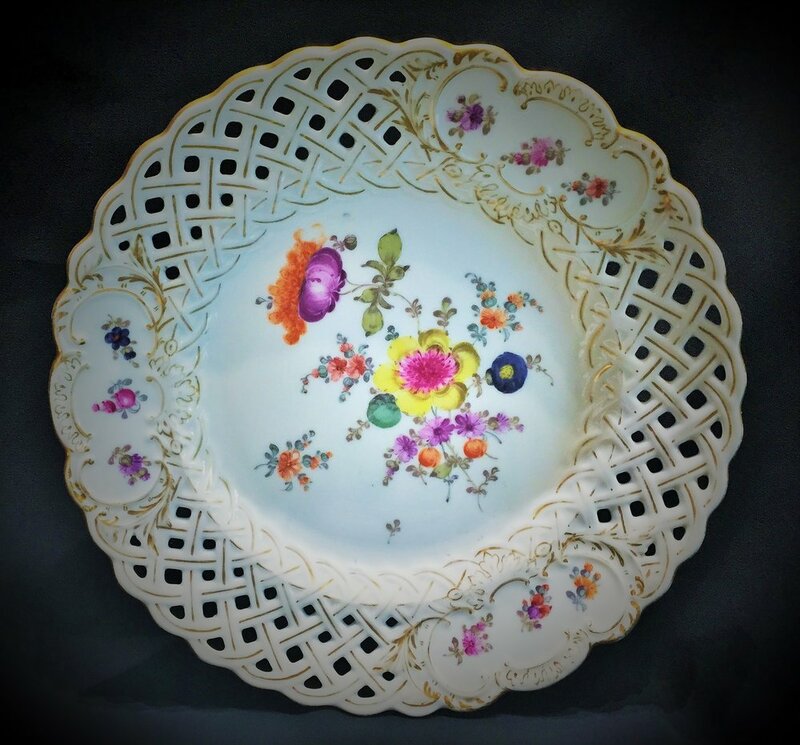 These wonderful elegant plates are of round scalloped shape with reticulated Rococo-stylerim, pierced and elaborately outlined in gilt. Hand painted Dresden wildflower bouquets with several different types of wild flowers in color enamels decorate the center of each plate. Fine antique condition - no chips, cracks, hairlines, repairs or restorations. Impressed “MEISSEN” mark of Carl Teichert Meissen Stove & Porcelain Company, Meissen, Germany. Impressed numbers "1" and "13". Blue oval with a star over-glaze Meissen decorating mark. The Teichert-Werke were manufacturers of porcelain and earthenware in Meißen. One of the predecessors was the Meissner Ofen- und Porzellanfabrik (formerly C. Teichert), who, from 1879 onwards, produced, among other ceramic products, also porcelain in hand-painting with the under-glass-blue onion-pattern decor. Teichert-Porzellan was also known as Bürgerlich Meissen. Carl Teichert, the founder of the firm died during the Franco-Prussian War on a visit of the German troops near Paris on February 6, 1871, at the age of 41. In August 1872, the company was transformed into a stock company. In 1879 the production of porcelains, which until then had been the monopoly of the Royal Porcelain Manufactory, was begun because of the upheaval of the founding period. At the same time, the company was renamed Meissner Ofen- und Porzellanfabrik (formerly C. Teichert). In 1885, some 460 workers worked for the factory. In 1891, the production of wall panels was started. In 1896 it was decided to erect more buildings for the production of plates. As a result of delays, including a big fire, the full production could only be begun in 1919. 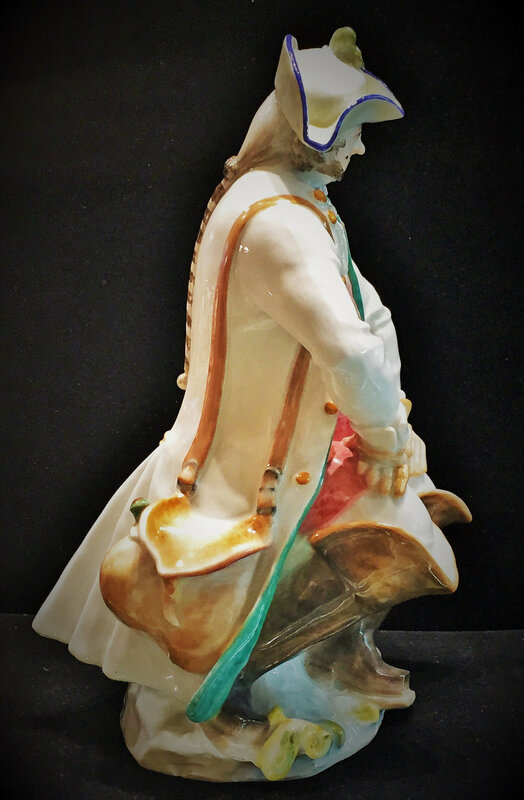 Presented here is one of the finest Meissen porcelain figurines of the Art Deco period by professor Paul Scheurich (1883-1945), who is acknowledged to be one of the 20th century's greatest modelers. The back of the base has a blue under-glaze crossed swords mark. The bottom of the base bears an incised model number A1148 and impressed number 115. The piece is in excellent condition and has no chips, hairlines, cracks, restorations, or cancelation lines.